The Canadian government has approved a vaping product targeted towards babies and toddlers. This product goes directly against the various e-cigarette bills, regulations, and amendments that have been sweeping through Canada, province by province as they attempt to protect the public from personal vaporizers. Contains and heats up propylene glycol – the same product that is in e-cigarettes and *gasp* antifreeze! Lights up when it is in use, just like an e-cigarette! Is marketed and targeted towards our Canadian Children! Not only has our Canadian government decided NOT to restrict this “potential gateway” product — There MAY be a link between children using menthol vaporizers and smoking menthol cigarettes as an adult — have the studies been done? They have also allowed it to be purchased by minors! 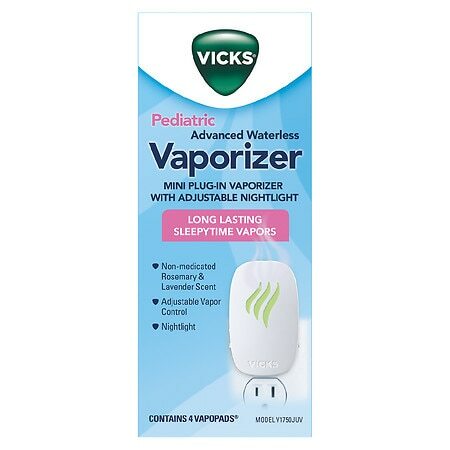 A CHILD can purchase this product and begin vaping in their own home. Our government has approved this device to be used indoors, in an enclosed room, with no ventilation! What about this second hand vapor people are talking about? The point is, the regulations the Canadian government is planning to pass (or in some provinces has already passed) do a great deal towards continuing the Nanny State that many Canadian’s are not even aware is happening. Policing things they have no business doing, with regulations based on their own imaginations and nothing more. Before the government bans and regulates everything, have a look at our 100% Canadian personal vaporizer (e-cigarette) online store. Adults only, as we don’t sell or promote to children! For the last 5 years, we have been helping Canadian smokers make a better choice! The answer is education; because of our government’s IGNORANCE, it has become OUR RESPONSIBILITY to EDUCATE THEM! We have contacted Proctor and Gamble, the creators of this insidious product for a response. Are you from a third world country? This story clearly shows that our government is just a bunch of hypocrites. They always seem to think they know better what we want than we do…..
Also….I could be mistaken but I think the chemical in antifreeze is not propylene glycol, its ethylene glycol and is very toxic to humans. The goverment only wishes to control,= money , all in their pocket ! Propylene glycol is in the “environmentally friendly” versions of antifreeze. Most auto makers don’t use it because it is more expesive. No, it is not “VERY TOXIC” to humans, It is toxic, yes, but only if you drink it, which does have the benefit of weeding out people that are to stupid to live in the first place. Drinking anti-freeze.. like where on the bottle does it say “Drink Me” Guys, WE have to take the high road here and give information as accurately as possible. So when people see WHO quoting partial information, and pro-vapers posting our information, we retain more credibility. On top of everything else,I read that for $4.00 more they sell it at 24mg/ml. Shame on you Health Canada! Propylene Glycol is used in “environmentally-friendly, non-toxic” antifreeze. Vegetable Glycerin is ALSO used in antifreeze. Ethylene Glycol is just more common and less expensive. I think the recent news about under aged consumers being prohibited from purchasing e-cigarettes is unfair and unjust, as I feel that it prevents those from taking advantage of this easy and cost effective means of quitting such a disgusting habit . “under aged consumers”? You idiot, they shouldn’t be buying cigarettes in the first place. If they are buying smokes, they can probably get vapes the same way. If not, it’s their problem. So how exactly is it unfair and unjust to prohibit sales to minors who shouldn’t be buying tobacco products in the first place? Further to your comment…. I recently went into a vape shop in Hamilton with my 17 year old daughter with me. Not only did they “card” her but demanded that she leave the shop when they found out how old she was. My daughter does NOT vape, has never tried it but is just curious. Personally, I would rather have her interested in vaping than interested in trying cigarettes. Hell, I would rather her smoke pot than smoke cigs. Just my 2 cents. I totally agree with you. A lot of us started smoking as children (not exactly the “Smoking Baby” but close). I wanted to quit before I was 19. I bet others do too today. Government needs to keep out of a lot of things they have no business interfering in. Why do we elect nannies? Ignorance is no excuse to deny a decent alternative to smoking cigarettes, something which the government has profited off of for years and made millions! Perhaps they are more uninformed than we thought. As a Pharmaceutical Chemist, I have been working with propylene glycol for years! CH8O2 is a commonly used drug solubilizer in topical, oral, and injectable medications. It is used as stabilizer for vitamins, and as a water-miscible cosolvent. Propylene glycol has been used for over 50 years in a large variety of applications. With no problems.